Discount Ninja allows you to define and combine multiple promotions which can be applied to a single cart. 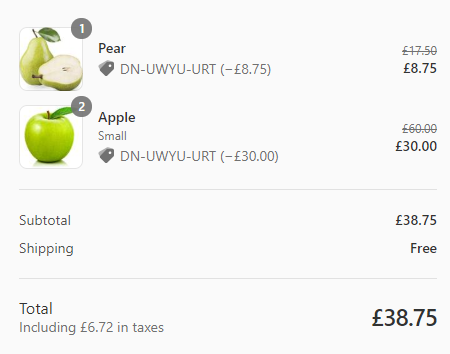 This allows you to offer different percentage discounts for different items in the cart. It also allows you to combine a percentage discount (20% off) with a free shipping discount. As you can see in the image below, 20% off discount and free shipping promotion are combined in the same order. This happens when the customer is fully eligible to get it. In the Settings of the app, find the "Checkout" tab on the "Pricing" section. Ensure Draft Orders are enabled, i.e. select one of the last two options. Can I combine Discount Ninja promotions with discount codes from other apps? Depends. Discount Ninja includes a client-side API that other apps can use to integrate. Apps can use this client-side API to provide additional discount codes to Discount Ninja to be applied at checkout. 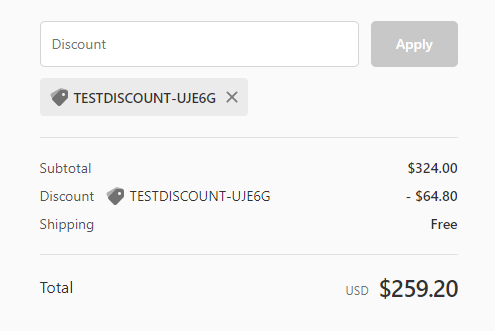 Can Discount Ninja's discount codes be combined with discount codes manually entered by the customer? Only on the cart. A discount code entered by the customer at checkout will override the one provided by Discount Ninja. This is a limitation of Shopify's checkout system. However, you can allow your customers to add manual discount codes on the cart. This article explains how you set that up. Can Discount Ninja's discount codes be combined with Shopify's automatic discounts? No. 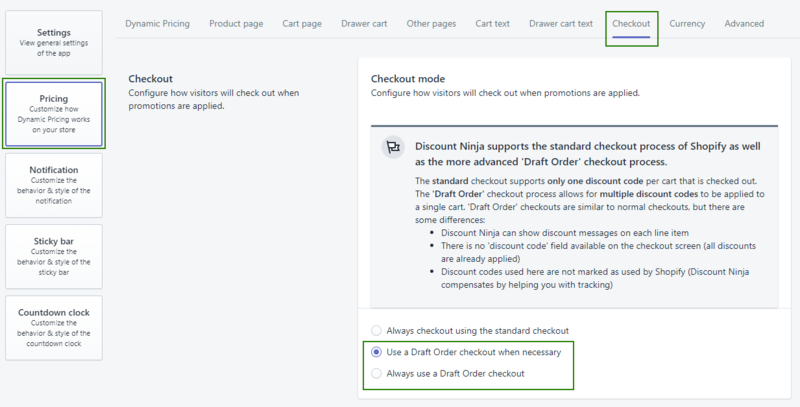 An automatic discount configured in Shopify overrides all other discounts and can therefore not be combined with Discount Ninja.